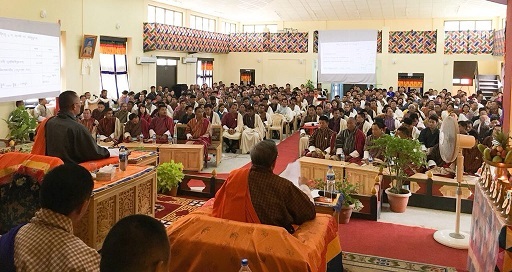 Bhutan Prime Minister Tshering Tobgay, who has visited all the 20 dzongdags across Bhutan for presenting the final report of the 11th Five Year Plan and draft the 12th Plan, on Monday thanked all the 20 dzongdags, dzongkhag officials and the local government members. Dzongkhag is an administrative and judicial district of Bhutan. The twenty dzongkhags of Bhutan are divided into 205 gewogs. On July 1, 2018, Tobgay through his Twitter handle informed that he had presented the 11th Five Year Plan final report and draft 12th Plan to the public of Zhemgang dzongkhag’s eight gewogs.